Talk about your monster mashup! Those loveable cartoon chipmunks Alvin, Simon and Theodore are really in for it when they come across classic movie fiends in this hilarious, tune-filled double feature. In "Alvin and the Chipmunks Meet Frankenstein" (1999), the brothers get trapped in an amusement park after closing and discover that the Frankenstein's Castle attraction is the real home of the mad scientist and his creature. 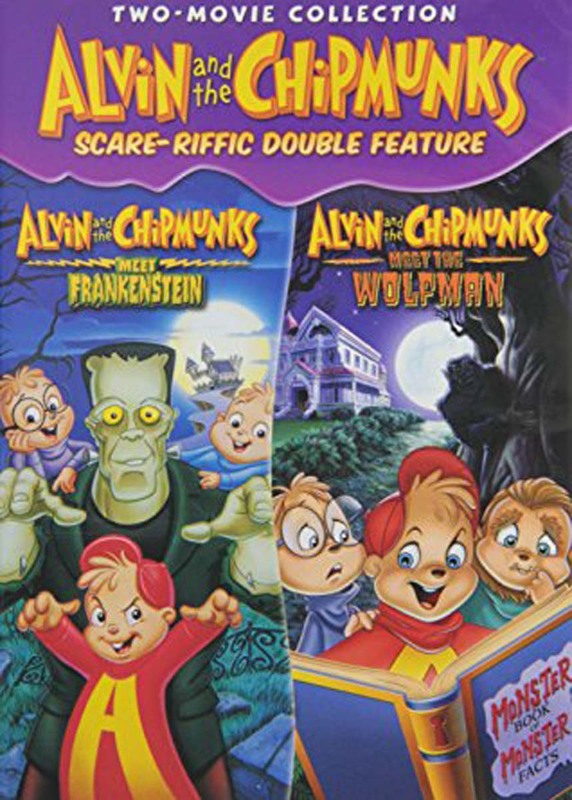 Then, in "Alvin and the Chipmunks Meet the Wolfman" (2000), Theodore has problemswith a bully, while Alvin becomes convinced that their new neighbor is a werewolf.